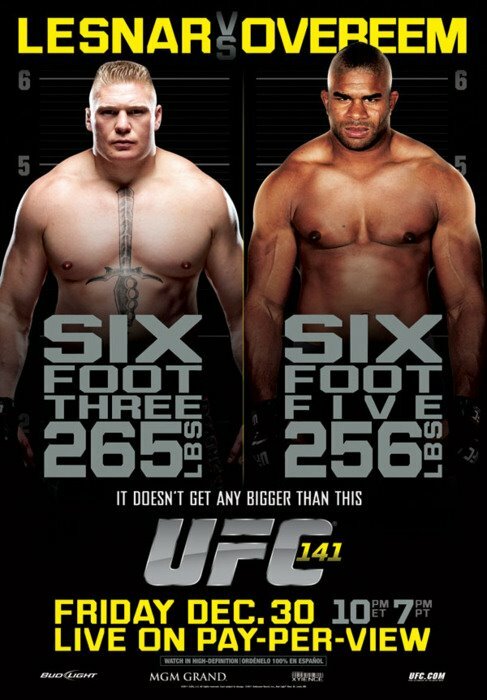 It's a rare Friday PPV for UFC, with Lesnar vs. Overeem capping off the year for the fighting group in what should be a fight of Hobbesian proportions: nasty, brutish and short. But in a good way. So if you want to go see it in a bar, here's the link.